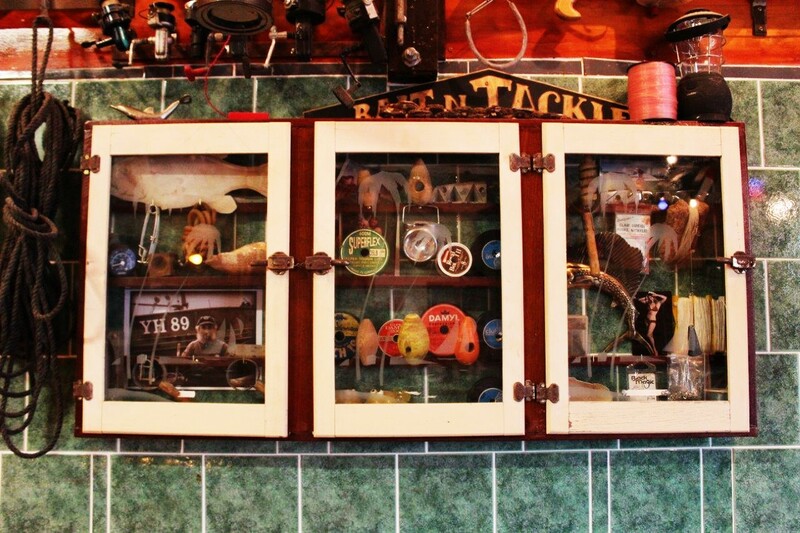 An absolute fisherman’s delight, Rodney’s Bait n Tackle has something to catch your attention in every nook and cranny. Walking along Stirling highway, you could almost miss the venue entirely with its modest façade blending into the shopping strip. What you can’t see from the street is the treasure trove lying within. 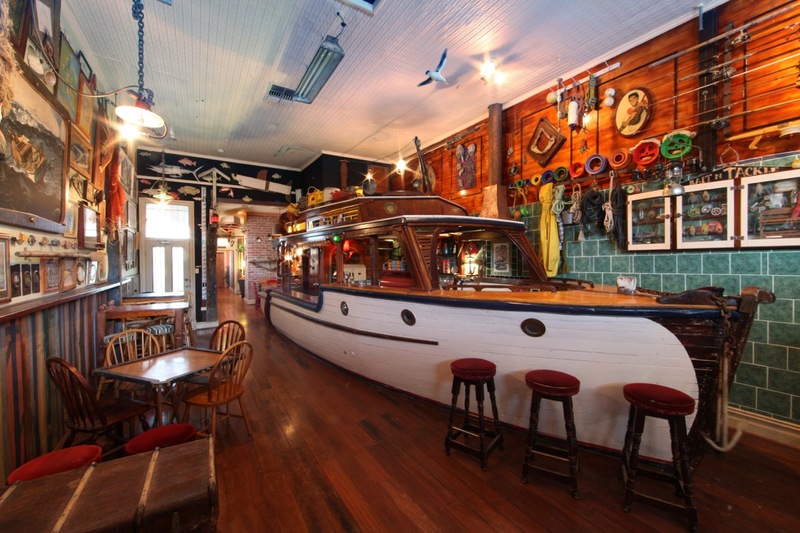 After taking nearly a year to complete, the finished bar boasts a huge collection of vintage fishing gear, artwork, maps and memorabilia- even a full sized shark suspended from the ceiling. 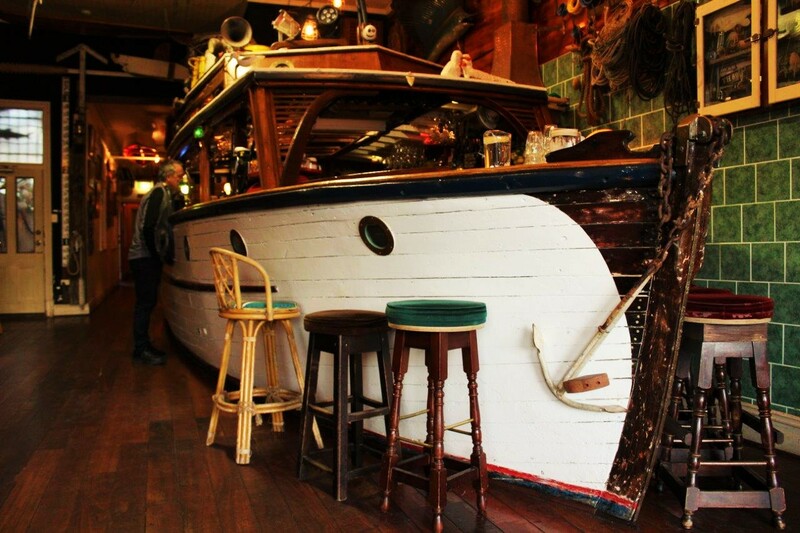 The crowning jewel is the 30 foot long fishing boat in all its glory serving as the bar. It really is a historical marvel, with each artefact painstakingly collected over a number of years. 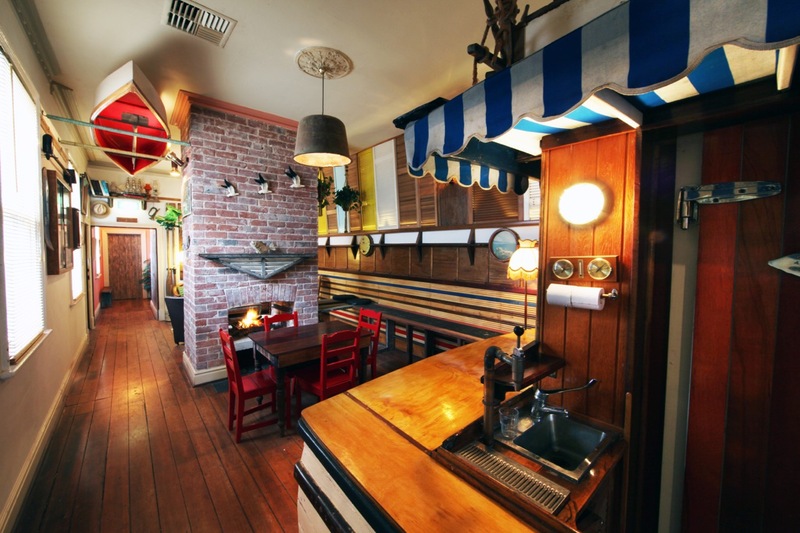 Although the space is narrow, it is also long, with a cosy alcove complete with a double sided fireplace toward the back- the perfect spot to stew over your dark and stormy on the cooler days. 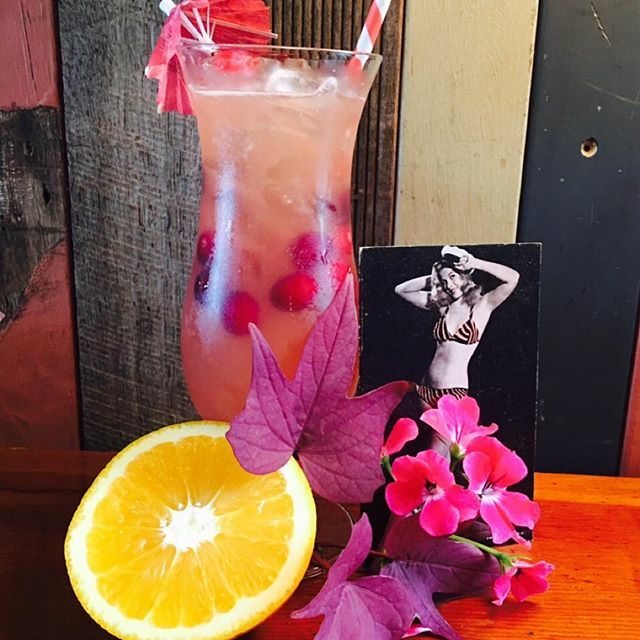 With backgrounds in both the hospitality and entertainment industry, co-owners Nathan Nisbet and Scott Kociuruba had a dream to open a warm and inviting venue to counter the number of ‘flash’ bars popping up all over Perth. Rodney’s aims to be open to all, regardless of income, and free of pretentiousness. Nathan says unlike other bars, Rodney’s doesn’t want to leave people feeling ripped off or that they must be dressed to the nines to enjoy themselves. Opening its doors for the first time on the 26th of August 2015, just like a day of fishing, a visit to Rodney’s sees your cares left at the door and relaxation ahead. The idea for the theme grew organically, with Scott coming from a long line of professional fisherman and the plan to source a boat for use as the bar. Everything else evolved around this key piece, named ‘The Maevon’ built in 1950. Nathan and Scott gave this beautiful boat a new life after sourcing it in Rockingham, where it was not running and taking on water. The pair reminisce on how it was a new experience to be put in a rowboat and taken for a spin to view a possible purchase! Although they have a smaller range behind the bar due to size restrictions, the focus is on quality not quantity. With an assortment of high quality whiskey and of course rum, they also serve up a choice selection of beer, wine, cocktails and coffee. If you are feeling a bit peckish, the boys serve award winning pies from Peters Butchers in Claremont, alongside other bar style nibbles. Every night the bar is open, you will be able to enjoy the live music of local artists. Having musical backgrounds themselves, they are disappointed in the dismal support for local music, and hope to use their involvement in the industry to support their network of fantastic yet struggling musos. 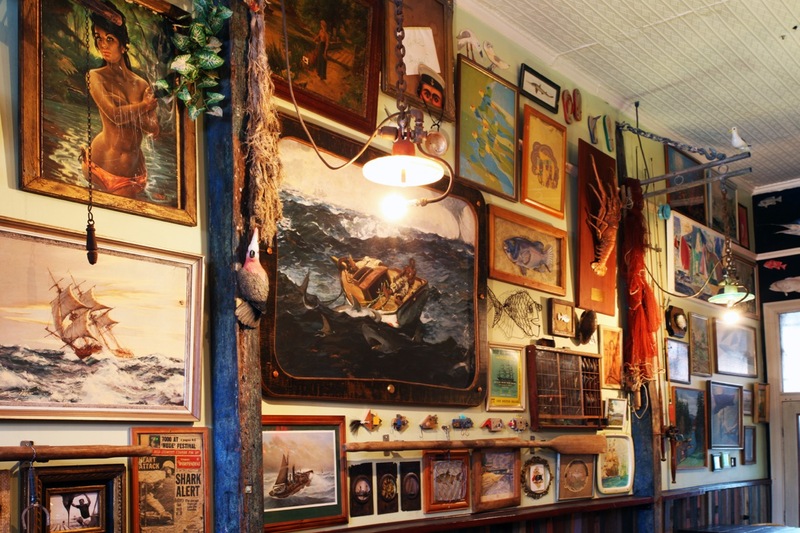 If all the fishing paraphernalia hanging on the walls has you itching to get out there, you can purchase bait from the bar and get straight out there. They really have thought of everything! A fantastic venue to intrigue the senses, relax and be serenaded by talented musicians. Open Wednesday and Thursday 4pm – 11pm, Friday 4pm – 12am, Saturday 1pm – 12am and Sunday 1pm – 10pm. For more info head to their Website, Facebook or Instagram.